Vail – Following a 1-2 finish in the women’s race, team UnitedHealthcare continued to clean up in Stage 2 of the 2018 Colorado Classic on Friday as Gavin Mannion flew up Vail Pass in a lightning fast 25 minutes, 41.28 seconds to the first big victory of his cycling career while his teammate Serghei Tvetcov followed in second, 11 seconds back. Hugh Carthy (EF Education-Drapac p/b Cannondale) rounded out the Stage 2 podium, 20 seconds off of the pace. A Fort Collins, Colo., resident and Massachusetts native, Mannion was runner-up in this year’s Tour of the Gila and said he’s been waiting a long time for this result. Stage 2 harkened back to the legendary Coors Classic cycling race of the 1970s with an individual time trial from Vail Village up Vail Pass. Cranking off of a start ramp in Vail Village’s Mountain Plaza, cyclists shot through Vail Village in reverse direction of Stage 1’s circuit. They blazed downhill through a tunnel, through the center of town and out to the Frontage Road along relatively flat terrain to East Vail before hauling up the steep climb of Vail Pass, in total gaining 1,574 feet in 10.1 miles and finishing at a soaring elevation of nearly 10,000 feet. With the victory, Mannion takes the blue Gates General Classification leader’s jersey from 20-year-old Colorado native Gage Hecht (Aevolo), who notched the race of his life in Thursday’s Stage 1 circuit and followed up with another outstanding performance in Stage 2, hanging on to the Frontier Airlines Sprint jersey and the Colorado Tourism Office King of the Mountain jersey (worn by Pascal Eenkhoorn - Team Lotto NL-Jumbo). Tvetcov, who was the runner-up in the 2017 Colorado Classic, earned the FirstBank Most Aggressive Rider in Stage 2 as 22-year-old Colombian phenom Daniel Martinez Podeva (EF Education-Drapac p/b Cannondale) earned the IKON Pass Best Young Rider jersey.  Fifteen of the world’s top men’s teams – a total of 81 racers from more than 20 countries – are competing in this year’s Colorado Classic, which moves to Denver Saturday for Stage 3 presented by UnitedHealthcare and Stage 4 presented by Gates Industrial Corporation on Sunday.